For today's topic, we are sharing the book we recommend that everyone read at least once. That's a tough question really and you can translate it anyway you'd like. It can be a book you loved and you think everyone else should too. Or a book that you learned something major from. Or a book that changed your life. Or a book that changed your perspective. So many options. I could throw so many titles at you. 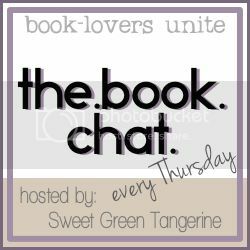 The Book Thief, The Handmaid's Tale, Me Before You (read them all, btw) but I feel like I'm ALWAYS talking about these titles. And the question is, do I want you to read a book that I know you will love, or do I want you to read a book that I think you will learn something from. I'm going with the latter, for a change. The Giver ignited an idea: the idea that young people should be able to enter a world that is inherently WRONG and they should know what it feels like and they should be able to decide for themselves what is wrong about it, and they should be inspired by the brave ones that fight against the system that controls. Adult dystopias are powerful too, but it's the Young Adult ones that mean the most. They invest in a more potential audience. We must look past the love triangles of today's YA and see that dystopian literature is investing in the freedoms of our future. If you, like the rest of us, enjoy books like The Hunger Games, Delirium, and Divergent, then you should know where they came from. Now, I'm not saying that they steal or copy, but we must give credit where it is due. 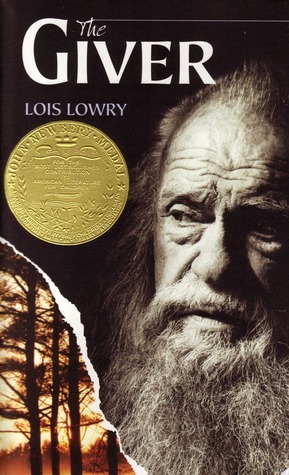 I read The Giver at a young age, and I'm so glad I did. It will stay with me forever. Have you read The Giver? What are your thoughts? What book do YOU think everyone should read at least once? Our co-host today is Megan of Semi-Charmed Kind of Life. She is hosting an Instagram party next week in honor of Banned Book Week. Please go over and check it out and add her to your reader. I really liked The Giver, and it was probably one of the first dystopian books I read. It was definitely thought provoking. I love The Giver, I've read it several times. Her other books (The Giver is part of a loose trilogy) are great as well. I have not read this yet and really need to! Great choice for a book everyone should read. Amazing choice! I love the way you described the book and why it's important. Thanks again for letting me co-host, and for mentioning my photo challenge! I know I keep saying this, but I really, really need to read this book! DID YOU HEAR that The Giver is becoming a movie in... 2014 or 2015? AND TAYLOR SWIFT IS CAST IN IT? It's like, my entire childhood crumbled away right there. Sigh.